This research note aims to provide the Government of Canada some gratuitous advice on the focus for Employment and Social Development Canada’s Future Skills Centre. The Centre is set to expend $227 million tax dollars on improving our understanding of the emerging skill needs of the economy. To achieve its stated goals, it needs to maintain a balanced focus that includes understanding the determinants of current and emerging skill supply, understanding the demand for skill and how it is evolving and the efficiency of the markets for skill that mediate skill supply and demand. This investment is sorely needed. Our analysis suggests that the relative importance of human capital – what workers know and can apply to productive ends – as a determinant of our economic success has increased rapidly as the emergence of global markets for capital and advanced production technology erode our comparative advantage in these areas. Concomitantly, the rapid diffusion of digital technologies throughout the economy is increasing the relative importance of human capital to productivity and GDP growth rates and reducing the demand for jobs that only demand the routine application of procedural knowledge. Human capital is a complex concept that includes technical skills and knowledge and the cognitive and social emotional skills and knowledge needed to acquire, and apply, technical skills and knowledge efficiently and effectively. Our analysis – illustrated in the following chart – suggests that the demand for key cognitive skills – most notably literacy and numeracy – is rising very rapidly in response to the aforementioned shifts in the terms of trade. As documented in Chart 2, the rapid increase in the demand for literacy skills has driven an extraordinarily rapid increase in the wage premium accruing to higher levels of literacy skill. This increase opens the ways to much higher levels of skill-based inequality than we have seen previously. Our analysis suggests that the emerging wage premia to literacy skill are too large to be attributed solely to the positive impact that literacy skill has on productivity. More directly, some of the observed growth in the wage premia to literacy skill reflects wage inflation associated with a shortage of workers with advanced literacy and numeracy skills. A clear policy implication is that the supply of advanced literacy and numeracy skill needs to be increased rapidly. The demand for literacy and numeracy skill upgrading is growing due to the fact that the supply of these skills is falling even though average years of education have been rising rapidly. At the population level, 15- to 65-year-olds lost an average of seven points between 2003 and 2012, a loss that is associated with a staggeringly large loss of economic output. Our analysis traces the observed skill loss to the fact that a significant number of adult workers work in jobs that demand very little cognitive skill use. Research suggests that this skill loss is an unexpected result of two factors. First, high levels of mismatch between the notional literacy demands of jobs and the skill levels of workers in those jobs means that a large proportion of workers – 30% – have literacy skill levels above the level demanded by their job. These workers tend to lose skill as a result of low skill use on the job. This loss of skill represents a significant loss of economic output for skills that we, the taxpayers, already paid dearly to create. The implication for policy is for government to create credentials that provide a reliable indication of skill that can be used by employers in recruitment, selection and promotion processes. Employers could also realize significant productivity gains by increasing the level of skill use demanded by their jobs. Second, a significant proportion of employers appear to be reducing the level of cognitive skills demanded by the jobs in response to the fact that an estimated 40% of workers have literacy skill levels below the proficiency level demanded by their job. Employers adopting this tactic seem to be unwilling, or unable, to pay the wage premium for workers with the literacy level demanded by their jobs. This misfit reduces the average wage rates and incomes of these workers. It also reduces their productivity. A reasonable policy response would be to employers and governments to invest in skill upgrading and for employers to ensure that their work processes, production technologies and work organization make full use of the newly created skill supply. Without this latter condition any new skill supply will evaporate as quickly as it was created through a lack of use. Government could also encourage employers to adopt more efficient recruitment processes that actually assess the full range of occupationally-relevant skills. Our analysis also identifies three more subtle, but crucially important, insights into the policy issues upon which the Centre will focus. First, the Centre will need to resist the call to focus on the creation of the so-called 21st Century skills – creativity and innovation, critical thinking and problem solving, communication and collaboration. There is little doubt that these skills are crucially important to Canada’s future economic success. There is even less doubt, however, that fully 50% of adult Canadians lack the literacy and numeracy skill needed to acquire advanced levels of these skills efficiently. Providing adults with advanced literacy and numeracy skills is a necessary precondition to increasing the supply of these higher order skills. Second, even if adults acquire a supply of 21st Century skills our research suggests that they need advanced levels of literacy and numeracy to apply them to a level that allows them to compete with advanced Artificial Intelligence systems. As for 21st Century skills, both the acquisition and application of STEM skills to the level needed to remain competitive in global markets depend critically upon both learners and workers having advanced language, literacy and numeracy skills. Without these advanced levels of key enabling skills, workers will be unable to match the productivity levels offered by advanced digitally-assisted production technologies. The loss of jobs that only require the application of routine procedural knowledge will be offset by a growth of jobs demanding higher levels of cognitive processing, but only if the workforce possesses the requisite levels of advanced literacy and numeracy skill. At a more general level, the Centre will have to pay close attention to the dependencies among skills, in both acquisition and application, and the efficiencies of the markets that match skills to jobs if investments in creating new skill supply are to yield the expected level of individual and collective economic benefits. Third, more subtly, there is a need to realize rapid increases in the mastery levels of the workforce. Machines make far fewer mistakes than humans yet the institutions that grant credentials often issue them to anyone mastering as little as 60% of the associated syllabus. Similarly, the data systems that monitor the supply of key skills assign people to proficiency levels using a 62.5% mastery standard, well below that achieved by even the simplest of automated processes. Given that skill-based errors cost employers, any machine/human differences in mastery levels will translate into higher levels of job loss and displacement. In closing, it is worth reiterating several points that bear on the work and focus of the Centre. First, there will be a need to engage adult populations in skill upgrading. Current cohorts of youth leaving the secondary and post secondary system are simply too small to have a material impact on the supply of key skills in the short run no matter what their skill levels. Second, there is a need to learn much more about employers’ decision processes that impact skill demand and the magnitude and type of incentives that might be needed to induce them to become more knowledge and skill intense. Too many employers are choosing the low skill/low productivity route. Third, the available macro-economic research suggests that the proportions of workers with low literacy and numeracy skill have a much greater impact on long term rates of labour productivity and GDP growth than the skilled end of the distribution. Governments should avoid the trap of pouring additional money into the post-secondary system in the false belief that this alone will precipitate higher rates of growth. More prosaically, more PhD’s and coders are not the answer to the skill needs of our economy. Finally, there is a need for the Centre to move quickly to achieve higher rates of adjustment to the realities of the new skill-based economy. Employers have very little sense of the nature of the problem they are facing and how they should adjust. Without more rapid adjustment employment levels, incomes and government revenues will fall. There is a role for role for government in this and the Future Skills Centre can play an important part in funding a program of work that is designed to answer key questions in a systematic way. As advocated by some, funding a Stat Can employer survey here, and a SSHRC research thread there, is not the solution. To paraphrase Alex Usher, ignoring skills risks stagnation and ruin. Not all of DataAngel’s analysis ends up in published reports. Some of this material is nonetheless useful in that it offers unique insights into matters of crucial importance to policy. The following research note uses data from the OECD’s 2011 PIAAC adult skill assessment for Canada to estimate the marginal value of an additional point of literacy to annual employment income. Separate estimates of the marginal income return to an additional point of literacy for workers whose skill level falls below, and above, the proficiency level associated with their 4-digit occupation code in ESDC’s Essential Skills Profiles. The initial pair of estimates are then adjusted to remove the effect of a range of other variables known to influence incomes, including age, gender, educational attainment, Aboriginal status, immigrant status, mother tongue and province of residence. Together, skill and these variables explain most income variation in Canada. Other variables might have an influence on the estimated value of a literacy point but to have any appreciable impact said variable would have to be uncorrelated with both skill and the large number of other variables controlled for in the regression. The analysis reveals a symmetrical pair of estimates. The 40% of workers whose literacy skill level is below the minimum level notionally demanded by their occupation lose $61 in earnings per point of literacy that they are below the minimum threshold. The 30% of workers whose literacy skill level is above the minimum level notionally demanded by their occupation gain $61 in earnings per point of literacy that they are above the minimum threshold. Given that workers in occupational literacy skill shortage are 26 points below the minimum skill level demanded by their occupation, this implies an average income loss of an estimated $1526 per year, an amount roughly three times the income gained through productivity growth in the current period. It is worth noting that the estimated impact of literacy skill on wages has fallen from $155 in 2003. This drop in value does not imply that literacy is any less important to economic performance but rather than improvements in the lower half of the literacy skill distribution provide less room for employers to discriminate wages on literacy skill. So literacy skill is an important economic asset for individuals and a potential source of additional labour income, if a means can be found to reduce the proportion of the adult workforce in literacy skill shortage. Reducing the proportion of the workforce in occupational literacy skill will not be simple. The most obvious route to reduction is to reduce the proportions of youth leaving the secondary and post-secondary systems. It will take at least a decade for meaningful numbers of higher skilled youth to enter the labour force even if the political will and means are found to improve skill levels. So reducing the proportions of low skilled workers will require massive amounts of adult skill upgrading in the workplace. Thanks to research undertaken by the federal government efficient, effective and affordable means are available to upgrade adult literacy skills . Our analysis of multiple assessment cycles for Canada suggests that persuading employers to make the required investments will be difficult. It seems that employers are reducing the actual cognitive skill demands of their jobs in response to high proportions of workers in literacy skill shortage and to avoid having to pay the rapidly rising real wages of workers with higher literacy skill levels that are in short supply. This reduction in the skill demands of jobs is precipitating a massive loss of skill by workers with the notional level of literacy skill demanded by their occupation and an equally large loss of labour income and output. T. Scott Murray is a retired senior manager from Statistics Canada and President, DataAngel Policy Research Incorporated, a global specialist in education, skills and productivity. Not all of DataAngel’s analysis ends up in published reports. Some of this material is nonetheless useful in that it offers unique insights into matters of crucial importance to policy. The following research note highlights the rate at which additional education adds to the stock of literacy skill supply. Research shows that education is the most important determinant of literacy skill (Desjardins, 2004) and that increases in average literacy scores over time explain 55% of differences in the rates of growth of GDP and labour productivity over the long run (Coulombe, Tremblay and Marchand, 2004). So policy makers have an interest in the rate at which rising levels of education are adding to Canada’s literacy skill supply. The following chart uses data for the 2011 OECD PIAAC adult skill assessment for Canada to estimate the relationship between years of education and literacy. The chart below reveals a strong linear relationship between the two variables. In the 2011 PIAAC file, each additional year of education adds an average of 9.1 points. This relationship suggests that, on average, it takes roughly 5.5 additional years of education to move up a level on the PIAAC literacy proficiency scale. Thus, even at Canada’s relatively rapid rate of increase in years of education, it will take several decades for the population average literacy skill to rise from the bottom of Level 3, where it currently sits, to the bottom of Level 4. In this sense, adult literacy skill upgrading is significantly more efficient, as it can generate this level of skill gain in as little as 30 hours of focused instruction. This increase in additional points per year of education is slightly lower than the 10.2 points observed in the 2003 IALSS data for Canada. This finding is likely the joint product of higher levels of skill loss in the 2011 study and of higher proportions of immigrants coming from less efficient education systems. Readers should also keep several things in mind when interpreting these data. First, the observed skill level at every education level reflects significant amounts of skill gain and loss that occurs after graduation. Because there has been more skill loss than gain over the past three decades, skills observed at the point at which the highest credential was obtained, and the average literacy skill gain per additional year of education, would be higher. Second, readers should remember that these average score gain obscure significant variation in scores at every level of education. Notwithstanding these caveats, these data make it clear that Canada cannot rely on increasing post-secondary education levels to fill the growing shortage of workers with Level 3 and above literacy skill. Significant investments in adult literacy skill upgrading will be needed. At $1000 per learner, the cost of adult literacy skill upgrading is low enough for employers to fund themselves. Given the enormous economic and social costs of Canada’s growing literacy skill shortages, a case can be made for governments to subsidize the cost of literacy skill upgrading. 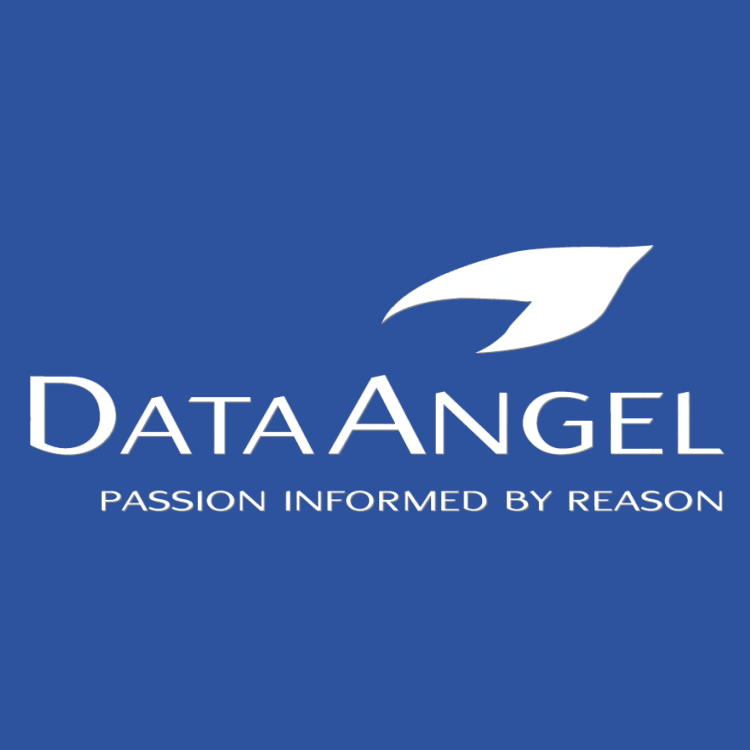 Not all of DataAngel’s analysis ends up in published reports. Some of this material is nonetheless useful in that it offers unique insights into matters of crucial importance to policy. The following research note highlights a key aspect linked to the fairness of adult literacy and numeracy skill upgrading, specifically the need for the instructional offer to reflect learner’s needs and objectives. Learners deserve and expect instruction that is efficient, effective and that produces consistent results. Sadly, in the majority of programs, this is not the case. One of the fundamental principles of adult education is that the program offer should reflect the learners learning needs and objectives. In 1924, Vygotski defined a region slightly above learner’s skill level where instruction would be most efficient and effective – the so-called “zone of proximal development”. By extension, instruction outside this zone would lead to disengaged learners and highly variable score gain within any given group of learners. The simplest way to create classes with homogeneous learning needs is to assess the learners and sort them into classes. Where volumes or context do not provide for multiple classes to be created, systematic assessment also provides Instructors with a means to adjust the content and pace of instruction to compensate. Research identifies 64 distinct patterns of strength and weakness across proficiency levels in oral fluency, prose literacy, document literacy and numeracy, a level of diversity that even skilled and experienced instructors would be unable to detect. Systematic assessment of a broad range of skills at the point of program intake is the only answer. When published, it would provide training providers, learners and funders with a way to compare programs, information that is crucial to detecting promising innovations and to driving poor training providers out of business. There is no excuse for programs not to assess all learners at the point of program entry and exit. Employment and Social Development Canada has funded the development and validation of the TOWES-Prime suite of web-based, fully adaptive tests of prose literacy, document literacy, numeracy and reading components. These low cost tests offer real time results that are reliable at four levels of precision, including one that yields reliable estimates of skill gain when administered pre and post training. Governments, as the funder of the much of the language, literacy and numeracy instruction offered, need to demand systematic pre- and post-assessment of participant’s skills.